1) Shakespeare, in his plays, poems, and other writings, used 29,066 unique words. Most people today only use 7,500 to 10,000 unique words in their writing and speech. 2) Shakespeare introduced nearly 3,000 words into the English language. In addition, Shakespeare's works, which were often quoted, became such commonplace that they helped set the standards for Modern English; prior to Shakespeare, English grammar and spelling had few standards. 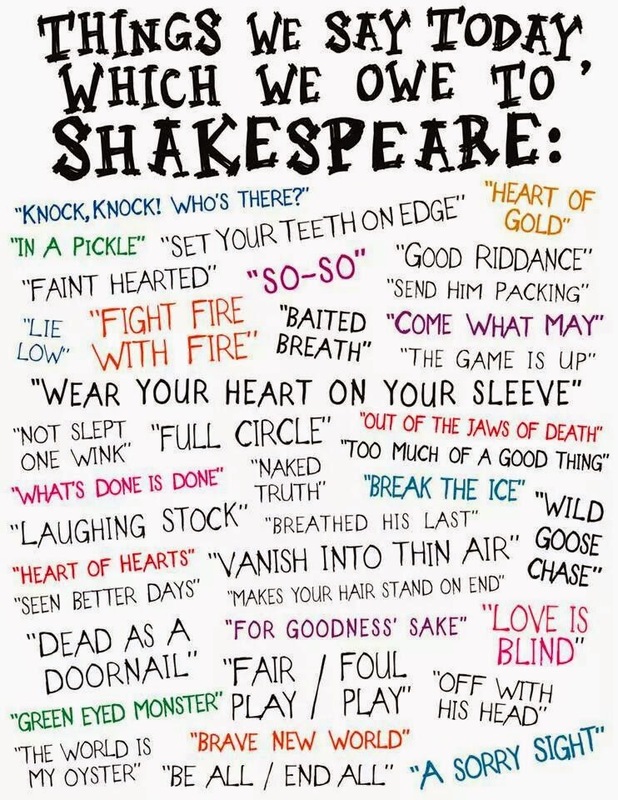 In addition, many of Shakespeare's expressions (such as "a foregone conclusion") are commonly used today. 3) Shakespeare’s ability to formulate new, popular words and his ability to maintain an extensive vocabulary positively define him as a "man of words." For his phrases to stand the test of time, Shakespeare must have had a proficiency for the English language. So why not share this relevant information with your students and show how brilliant this genious was. Have a try!